Brooklyn: Though New York City’s five boroughs are typically thought of in terms of being urban neighborhoods, the truth is that each of these boroughs represents a county and a city under the purview of a consolidated New York City mayor and government. The largest among these five boroughs is Brooklyn which physically makes up a part of Long Island. 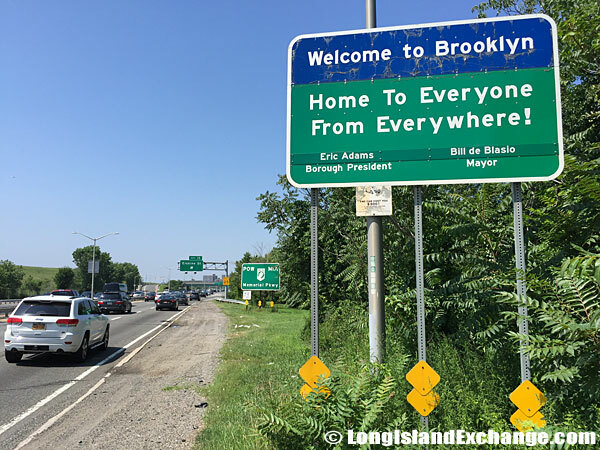 Brooklyn County contains a population of just over 2.5 million people, large enough to make Brooklyn the fourth-largest city in the United States if it were to be separated from New York itself. 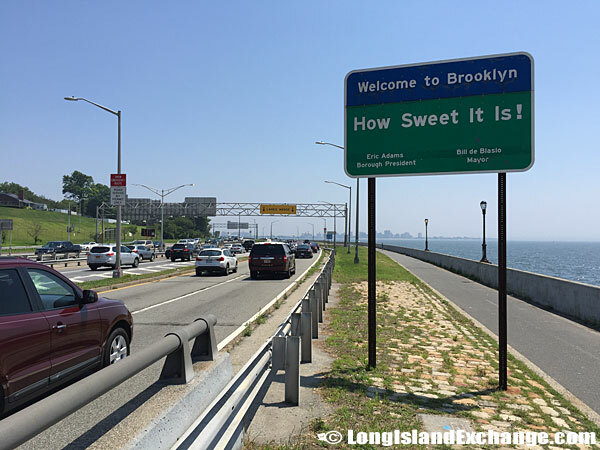 Brooklyn County contains a population of just over 2.5 million people, large enough to make Brooklyn the fourth-largest city in the United States if it were to be separated from New York itself.. Despite its large population, Brooklyn is only the second-largest borough by land area. 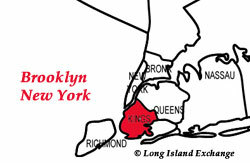 The largest borough by land area is Queens, which borders Brooklyn to the west-northwest. Brooklyn is linked to Manhattan across the East River by the Brooklyn Bridge (1883), the Manhattan Bridge (1909), the Williamsburg Bridge (1903), and the Brooklyn-Battery Tunnel (1950), as well as by several subway tunnels. 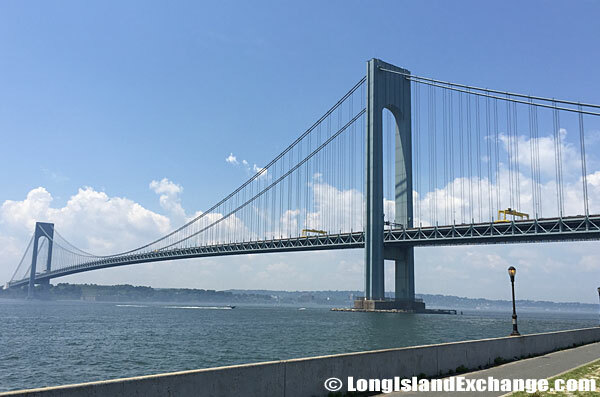 It is linked to Staten Island across the Narrows of New York Bay by the Verrazano-Narrows Bridge (1964). New York Bay by the Verrazano-Narrows Bridge. At the time of early European exploration the site of present-day Brooklyn was occupied by the Canarsie people, an Algonquian-speaking group. 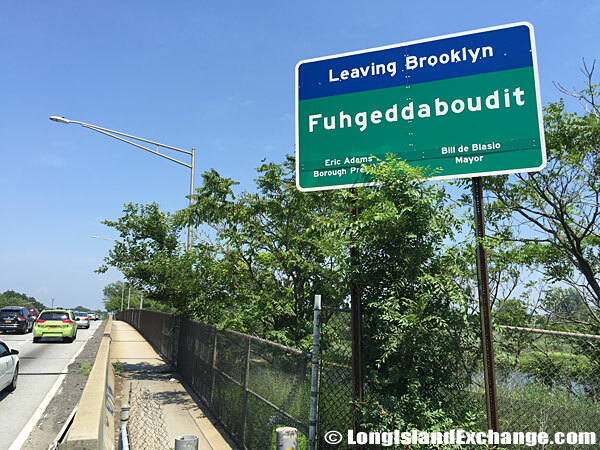 The first European settlement of the area took place in 1636, when Dutch farmers purchased tracts of land near Gowanus Bay and founded the community of Amersfort (present-day Flatlands). At one time, Brooklyn County was not a borough of New York City, and actually functioned as a traditional county among others in New York. It contained the city of Brooklyn, as well as many other towns and cities, each of which had their own forms of government. In 1898, a new state charter was drawn up to consolidate the cities and towns of the New York metropolitan area into cohesive boroughs. This resulted in the formation of modern-day Brooklyn. “How sweet is is!” was the catchphrase of Brooklyn entertainer and Honeymooners television star Jackie Gleason. Each independent town and city in Brooklyn County that existed in 1898 was considered an urban “neighborhood” of Brooklyn after the charter was ratified. The consolidated population is still counted for Census figures, but is generally issued along with the population of the five boroughs in total every ten years. As of the most recent census, more than 2.5 million people called the borough their permanent home. Brooklyn has experienced ebbs and flows in its popularity and local fortunes, dating back to the 19th century when it was a hub of African-American intellectual activity. Over the course of the early and mid-20th century, the borough underwent a rapid decline that saw its fortunes wane. Crime increased dramatically, “white flight” took hold, and Brooklyn went through at least a half-decade of hard times. 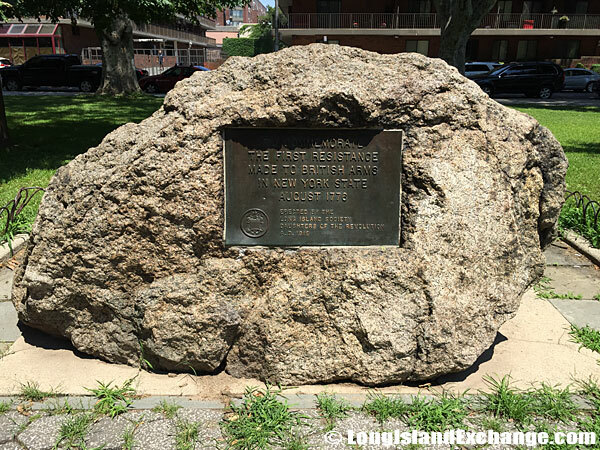 A commemorative stone marking the first resistance to the British in New York sits at John Paul Jones Park, 101st Street, Brooklyn, NY 11209. Named after the famous naval commander, this dog-friendly park has grass, trees and benches. That all began to turn around in the 1990s and early 2000s, as residents of nearby Manhattan flocked to Brooklyn in search of affordable apartments and single-family homes. Today, communities like Williamsburg are thriving hubs of new residents and cutting-edge businesses. The borough is growing at a rate faster than any other New York City borough, and gentrification is taking hold in even the most down-and-out sections of what would be considered Brooklyn County. Brooklyn is served by a large number of subway lines, many of them as old as 100 years. The greater New York City area is served by the second-largest subway system in the world, and this means that most residents of Brooklyn can get from their homes to Lower Manhattan in about 45 minutes without ever setting foot in a parking garage or vehicle. The borough is also served by a large number of bus lines. Both the bus and subway services run 24 hours providing round-the-clock transit. Taxis are also available night and day. 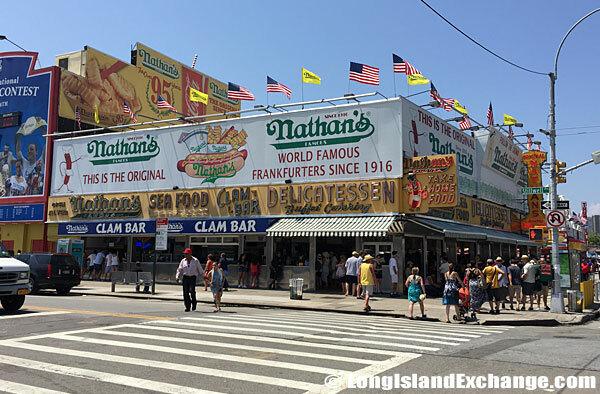 The Brooklyn-born Nathan’s Famous hot dogs in Coney Island. The Brooklyn Nets, formerly known as the New Jersey Nets, play in the borough. The Los Angeles Dodgers played in Brooklyn until a mid-20th century move to the west coast. The borough will also serve as home of the New York Islanders beginning in 2015. The minor league Brooklyn Cyclones baseball team still plays in the borough, despite the absence of a Major League Baseball team for quite some time. 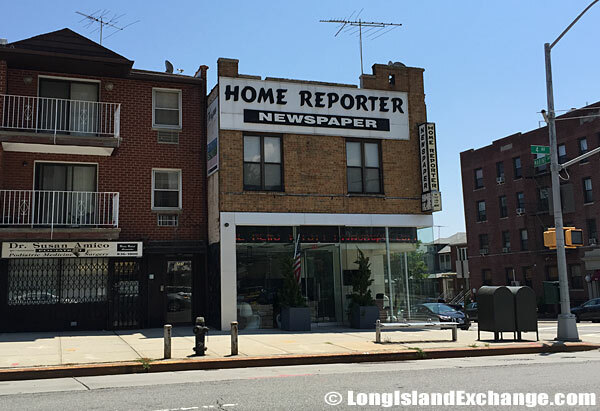 Headquarters to this Brooklyn newspaper, The Home Reporter, which reports on schools, politics, business and all other matters for local residents. Many branches of the City University of New York, or CUNY, are located within the limits of Brooklyn County. The Polytechnic Institute of New York University is also located in Brooklyn, as is the Pratt Institute. Saint Francis College is located in the borough, and the SUNY Downstate Medical Center calls Brooklyn its home. The combination of affordable city colleges and private institutions has made Brooklyn a leading destination for those looking to pursue a higher education. The affordable nature of the CUNY system makes it a top pick for local residents, and the city provides for dramatically reduced tuition rates for residents who seek a degree through a CUNY college in their neighborhood. Brooklyn is not for everyone, with a vibe that is as fast-paced as any New York City borough. Its amenities, however, are among the best in the country. Public transit runs 24 hours per day in most areas, while excellent colleges and charter schools dot the county from east to west. Its gentrification process is now quite advanced, leading to a better quality of life at a lower price than can be found in virtually every part of neighboring Manhattan. For the best combination of New York amenities and affordability, Brooklyn is the right match. To make your visit to Brooklyn complete, Coney Island should also be on your schedule. America’s classic amusement park features rides and games that will surely bring out the child in you.